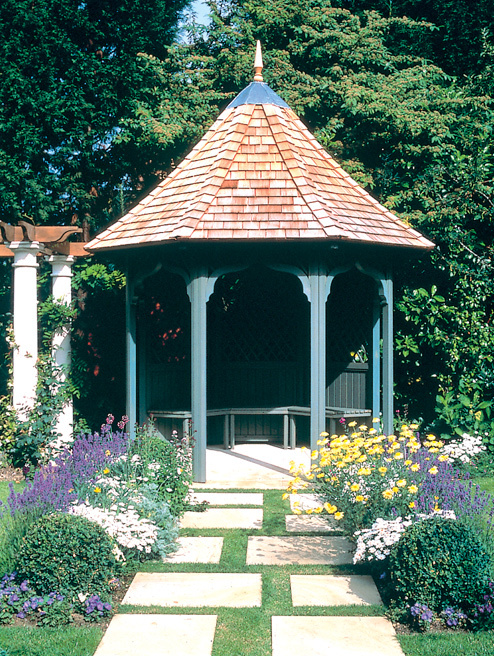 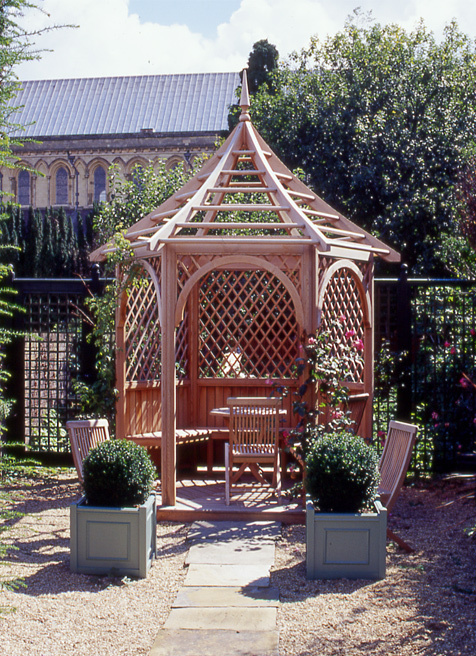 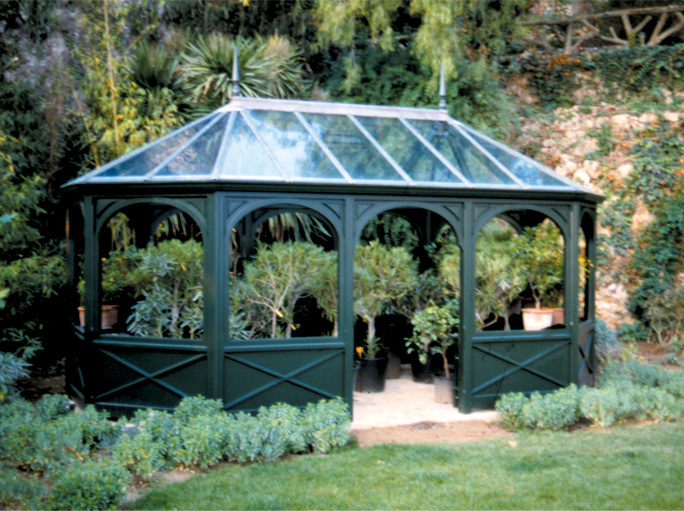 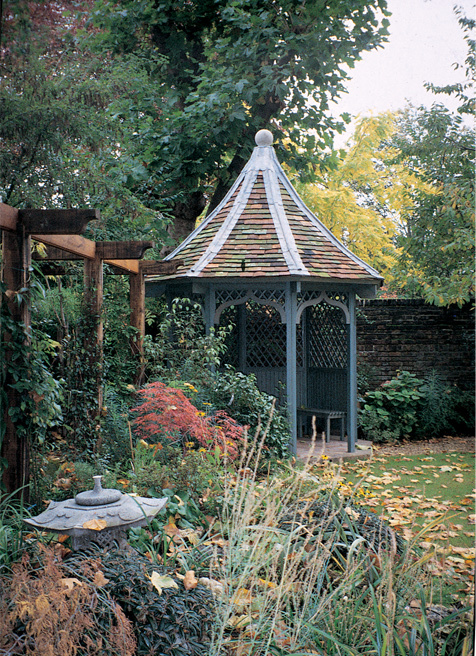 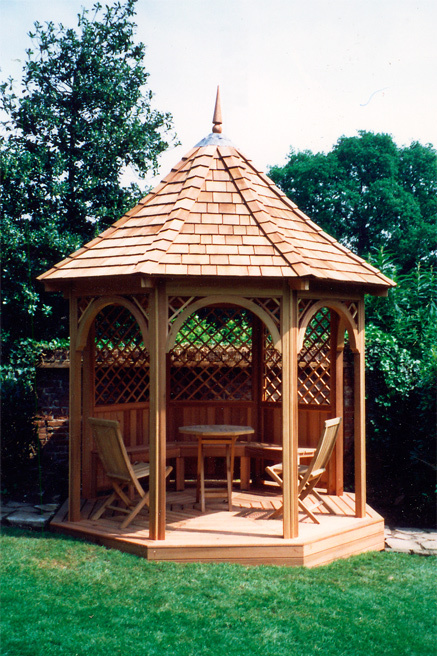 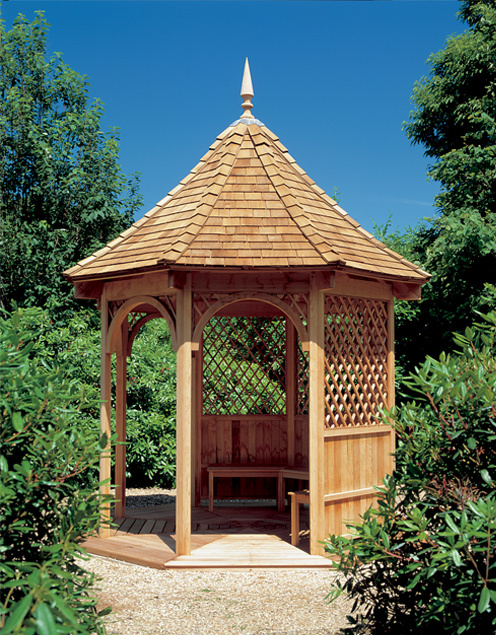 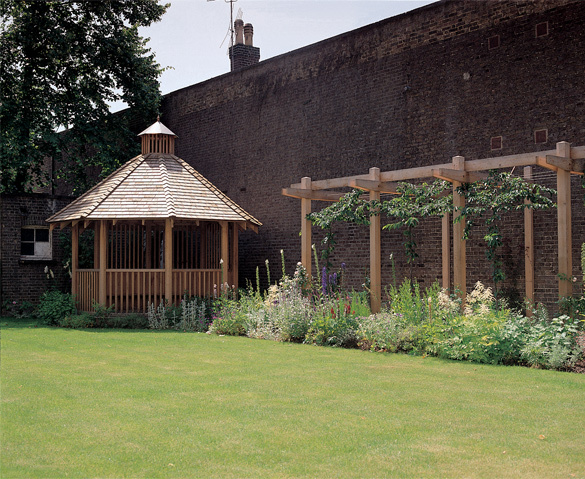 A Lloyd Christie gazebo placed in any size garden will always provide a striking focal point. 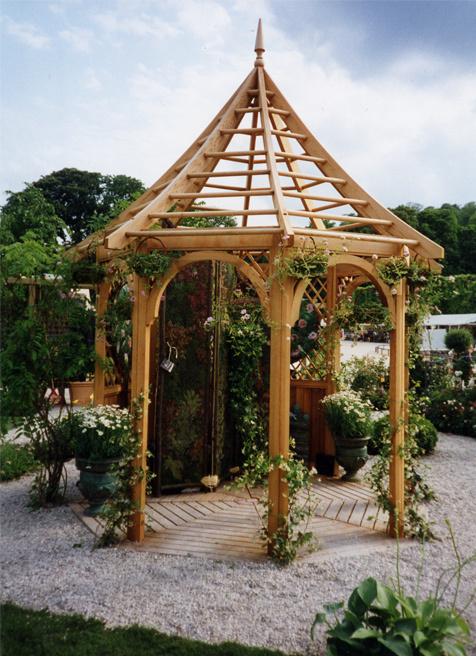 The main configuration of a gazebo is the number of sides it has, which is usually four, six or eight, and whether it has a solid or an open roof. 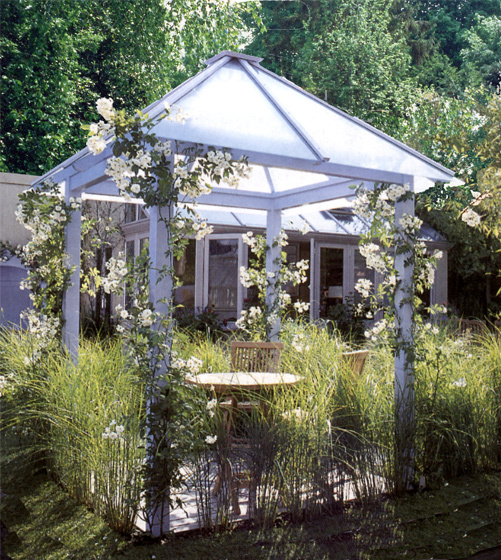 An open roof is treated more like a pergola roof, allowing climbing plants and light to penetrate from overhead, whereas a solid roof will give the gazebo the feel of a shelter or secluded hideaway. 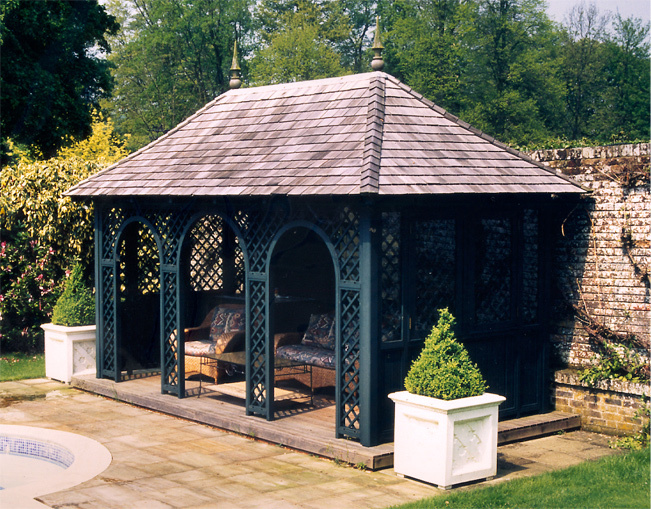 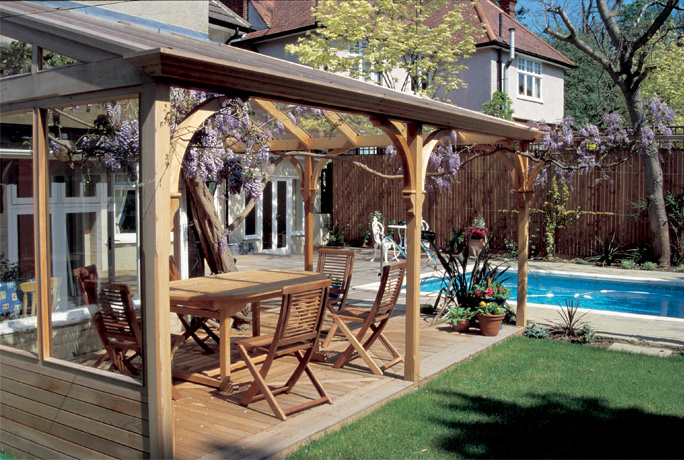 The positioning of a gazebo can influence the way it will be viewed and used. 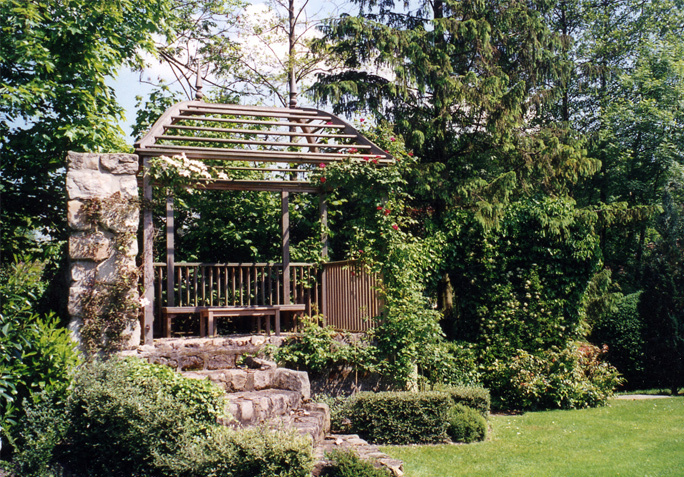 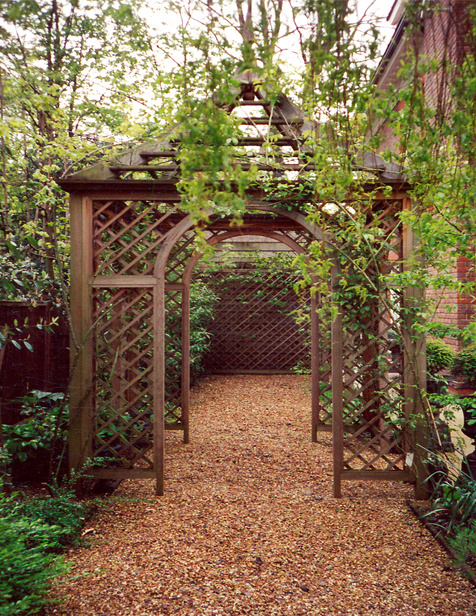 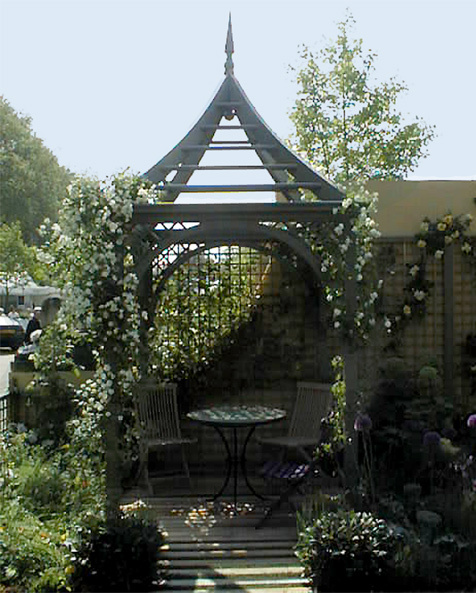 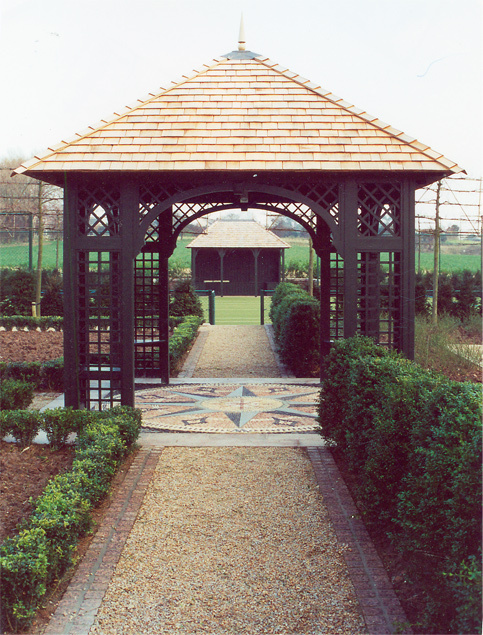 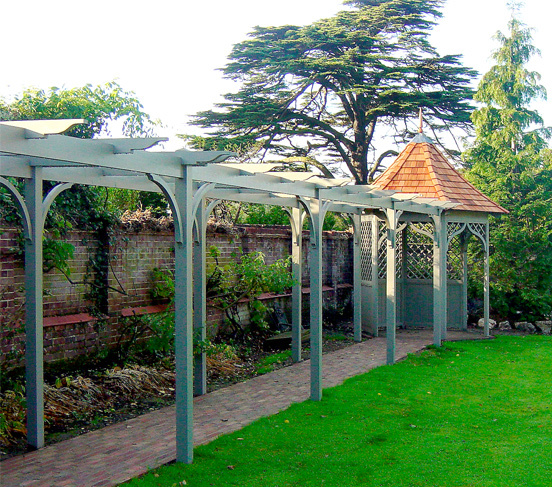 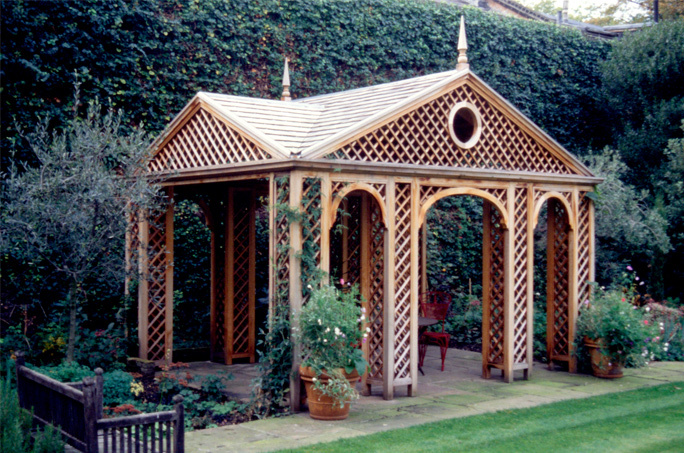 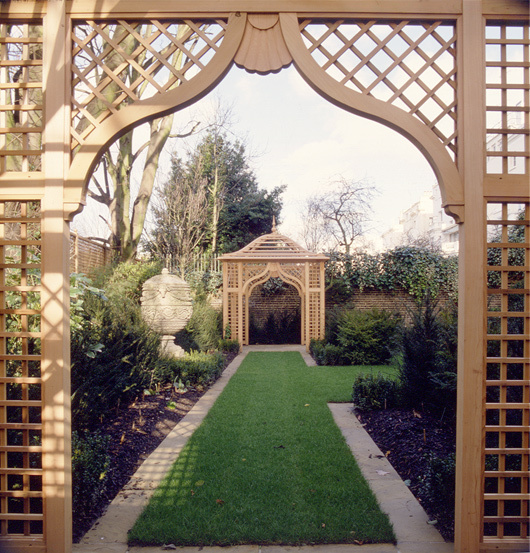 For instance, a gazebo placed to the rear of a garden, against a boundary or at the end of a pergola walk would usually have the back filled with a combination of trellis and boarding, and seating installed looking back towards the garden. 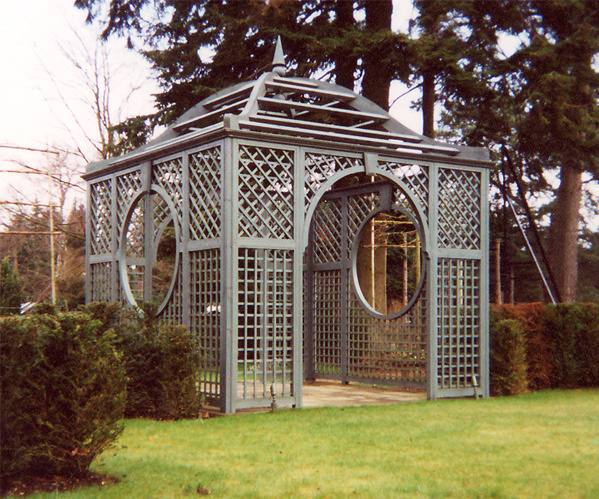 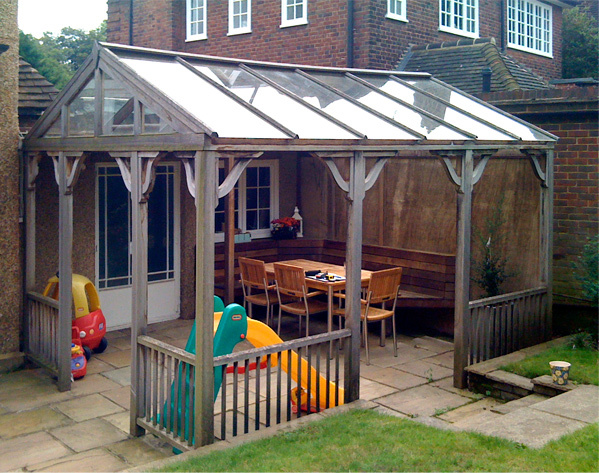 Alternatively, a gazebo placed along a walkway or in the centre of a garden would have a combination of alternative closed and open sides, or all sides open allowing clear views through the structure. 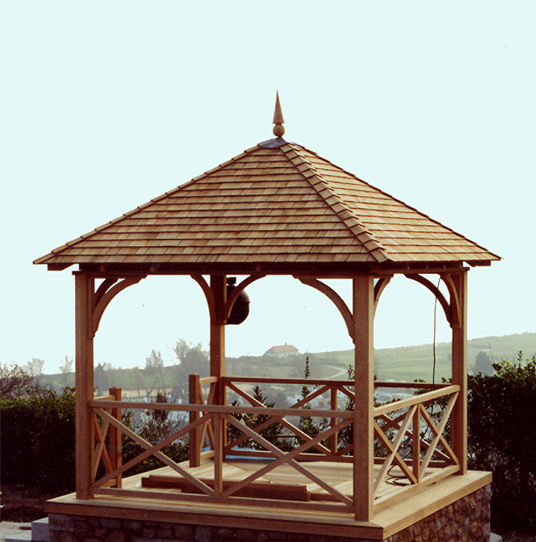 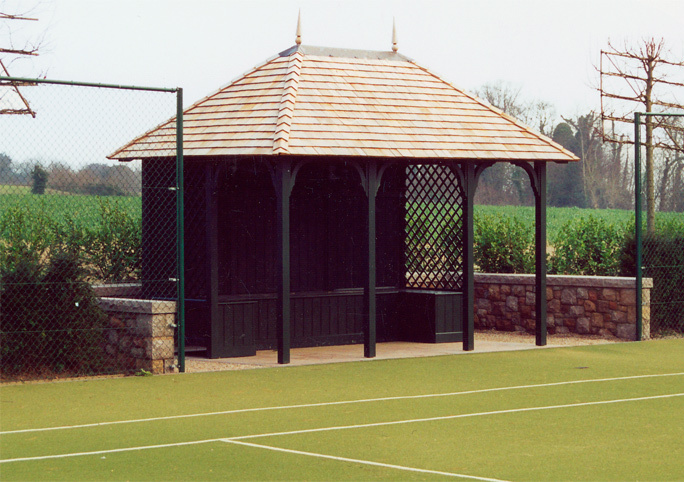 Another typical position for a gazebo is on a raised vantage point, creating a focal point in itself and offering a point from which views to the surroundings can be enjoyed.